The Fab Five ruler makes cutting out projects super easy. 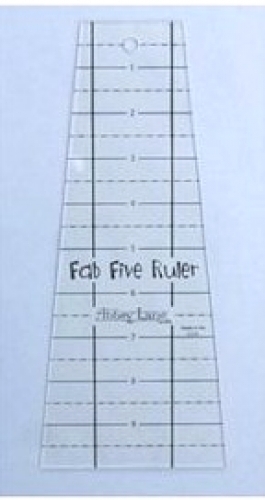 The ruler was designed to go with the new book Fab Five Remix - item 1310FF. It comes with a free pillow pattern that can be customized to any occasion.